Marita Gibson has been a successful sales consultant with Harcourts Jana Marie since 2015. 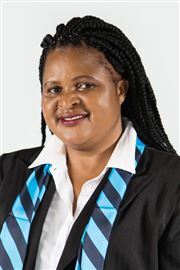 She specializes in residential property in Louis Trichardt. Marita has achieved various awards for outstanding performance locally and regionally. She is one of the top sales and listing agents in her office. "I am on top of staying ahead of constant changes in the Real Estate market." Marita finds her success in being connected with the right people. "I pride myself by delivering excellent service and I'm passionate about living the values of Harcourts, especially 'Putting People First' and 'Doing the Right Thing'." Even when transactions seem to have lost all hope, she seems to find a way for it to succeed. She walks the extra mile, and never gives up. André is fresh out of banking and has 24 years extensive financial and banking experience in all related markets being personal, business, agriculture and commercial. In his years as Bank Manager and other roles he portrayed, he has build a grand network and good understanding when it comes to working with people. André is excited to participate and add value in the property market in Louis Trichardt. “Property is not only about buying and selling – it’s about Investing”. With in-depth banking and market knowledge and experience, he is truly your one-stop property investment specialist. André is a team player, fosters quality client relationships and brings about a new and exiting dynamic to the property arena. At home he loves the outdoors, cycling and photography. Lizet Joubert is known for her sensitive ability to match people to houses. She prides herself in her success as a residential property consultant since 2013. Prior to her career as an agent, she was a commercial pilot with 24 years of experience. "I found my new job exhilarating, and much more exciting than flying." She keeps a positive outlook and enjoys the daily challenges. Very soon in her new career she understood that this industry is built upon expectation. Her aim is to build relationships on continual respect and honesty with all her clients and to work with integrity. If you wondered who would be the one to find you a real home, this matchmaker might just make your match! Margaret Sparrow is a dynamic and dedicated sales consultant in Louis Trichardt. She has gained her experience through extensive training programs and walking the walk. 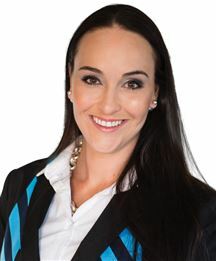 She finds herself at home and in love with her career as an estate agent and are proud to represent Harcourts Jana Marie. She loves being part of such a Professional Company. "In today's market, I believe that a key ingredient to success is not only to be service orientated by also to determine each an every clients needs. Once this has been established, I strive to exceed their expectations by maintaining a high standard of service with dedication and friendliness." She applies a personalised and professional emphasis in her approach to her clients, customising her service according to their needs. Pieter De Wet has had 36 years of farming experience having diverse knowledge of most sectors of agricultural and commercial farming. He has dealt in the Real Estate industry since 2000. He specializes in agricultural properties with plots for sale in the Louis Trichardt area and farms country wide. "I am able to select the right property to suit my client's needs. I aim to serve my clients by putting their needs first." Having 28 years of knowledge of the building industry and 25 years experience as an insurance broker and the years of experience in agriculture, he understands this industry in excellent depth. 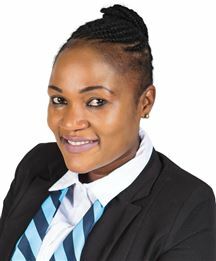 Rudzani Ramovha has found herself in the career of a Real Estate Sales Consultant with Harcourts Jana Marie since 2014. 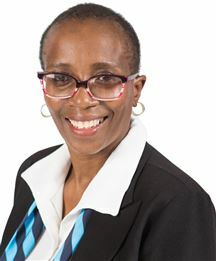 She specializes in residential properties in Makhado Park and Old town of Louis Trichardt and surrounding rural areas such as Waterfall and Thohoyandou. During her dedication and perseverance the last couple of years, she has learnt to help her clients find their dream home with patients and understanding. "I grew up in this part of the country and I understand the people." She is a fully qualified agent and believes in getting training regularly, to keep up with international industry standards. She is a fantastic team player and shares in the successes and disappointments of her peers. Yvonne Gregerowski is the heartbeat of Harcourts Jana Marie. She has served the rental department with loyalty, dedication, perseverance, patients and excellence since 2013. 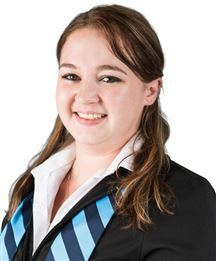 Yvonne has a deep understanding and knowledge of the rental industry in Louis Trichardt. She ensures regular contact with tenants as well as owners. Yvonne is a true gem for this office.